LED VIDEO WALLS – AN EVENT PLANNERS DREAM - QProductions Inc. 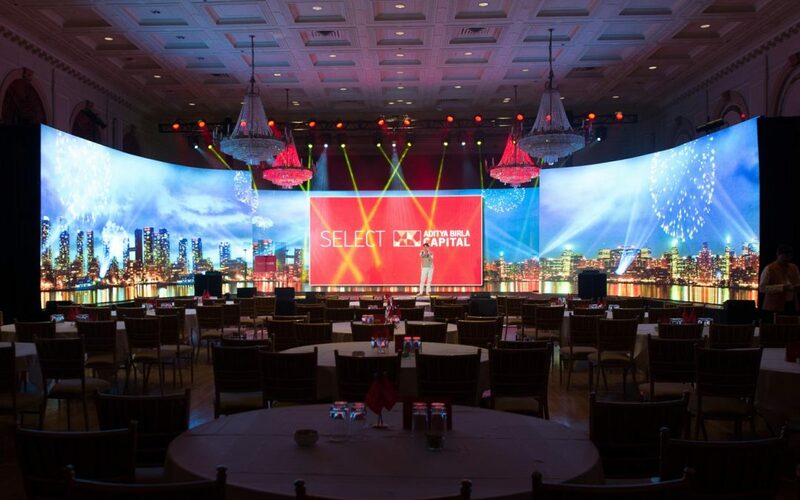 LED video walls are becoming increasingly popular at events. We all know content is king, and LED walls really allow content to come to life. These completely customizable walls allow event planners to deliver seamless images that are scalable to any size or shape AND look great from nearly any angle. Walls can be most dramatically used to enhance branding as part of a custom stage build. They are also popping up in receptions to showcase sponsor or partner content and even in trade show booth design. Life in high def: LEDs support our high definition world, whereas projectors are still displaying standard definition. Easy Peasy: LED walls are super easy to set up and don’t have as many limitations as a projector would. You can literally make an LED wall work anywhere. Maybe we just love technology, but these walls are reliable, flexible and can make your content literally jump off the screen. Here at Q, we feel these walls should be a staple at any event. Convinced yet? If so, we would love to connect and show you how Q Productions can use LED walls and other leading technology to not only wow your attendees but also strengthen your brand impression during your next event.